An extensive alumni network keeps Goodnight Scholars connected across the globe. 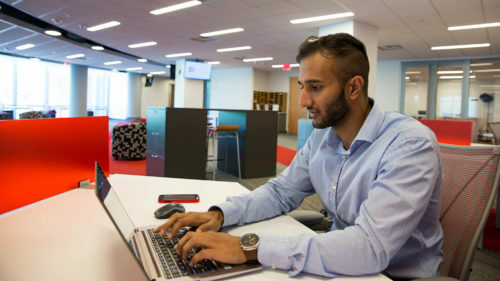 The mission of the Goodnight Alumni Network is to extend the Goodnight Scholars community beyond graduation by providing opportunities for alumni to stay connected with each other and with the Goodnight Scholars Program and NC State University. We actively seek to grow community among Goodnight Scholars Program alumni through social, service and professional activities. Are you a Goodnight Alumni looking to update your personal and professional information for the Goodnight Alumni Network? Request the Goodnight Alumni Network form by emailing goodnightscholarship@ncsu.edu. Find out how Goodnight Alumni can stay connected and give back to the Goodnight Scholars Community. Catch up on the latest happenings in the Goodnight Alumni Network. 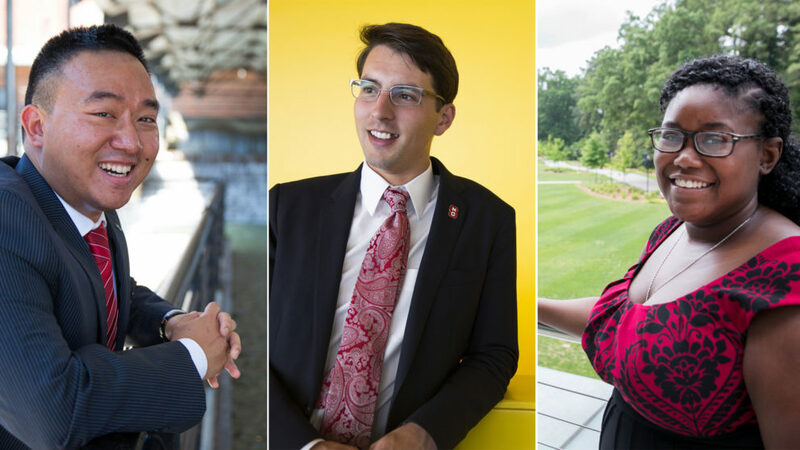 If you have any suggestions for future Goodnight Alumni Network activities, please reach out to Goodnight Alumni Network Chair David Tseng ’14 (dtseng@ncsu.edu) and Goodnight Scholars Advisory Committee Representatives Christopher Moody ’12 (ctmoody@ncsu.edu), and Bailey Craddock ’17 (bmcraddo@ncsu.edu).